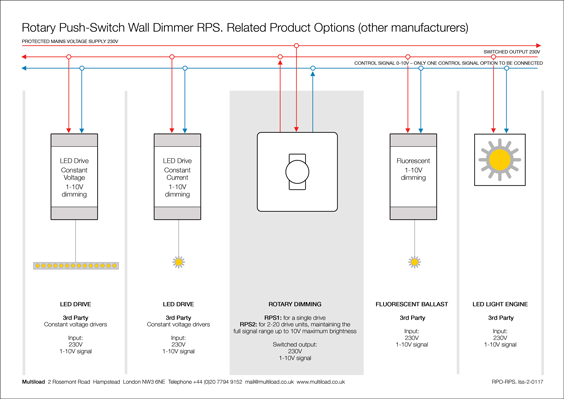 Rotary Push-switch Wall Dimmers RPS enable dimming and switching of 1-10V drive units, including LED drivers and fluorescent ballasts. 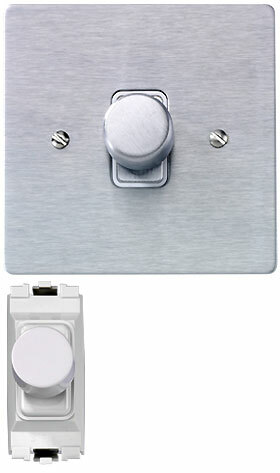 RPS fits into wall plates and grid systems from UK manufacturers, including MK GridPlus, Wandsworth, Hamilton, Forbes and Lomax, Focus SB, Scolmore and others. Further adjustments can be used to trim in the desired lighting levels, such as reducing levels which are too bright or increasing levels which are too low.